How do you measure your passenger experience? Do you have a tool for coaching and providing feedback for your staff? Measuring the customer experience through the use of mystery shopping will provide a useful foundation for feedback, development, consistency, and a tool for employee and organizational improvement. CSE are experts at airport and post security mystery shopping. We have been a leading mystery shopping company since 1998, revolutionizing the way results are transformed into actionable improvement, and we are the premier partner for airports and brands that are committed to achieving maximum results from mystery shopping solutions. Undercover mystery shoppers pose as customers, members, visitors, patients, patrons, etc. for the purpose of reporting on their experience with an organization. CSE’s mystery shopping services focus on gathering actionable data designed to be used to help employees and organizations improve performance. CSE’s comprehensive approach which follows our exclusive eC²® model, our expert consulting services and form creation methodology are unique in the industry; facilitating the process of collecting relevant mystery shopping data and transforming it into performance improvement strategies. The most important element of our mystery shops is their ability to improve employee performance. How does CSE manage results & reporting? CSE’s proprietary experience measurement platform, eView®, has been our hub of all mystery shopping, data collection and reporting for over 10 years. The combination of dynamic technology and CSE’s strategic approach offers clients secure, efficient, accurate and reliable data; thus providing service measurement results that are customized, developmental, actionable and reliable. CSE has been a leader in the mystery shopping industry for close to 20 years. We were pioneers in the technological evolution helping to bring mystery shop recruitment, scheduling, implementation, and delivery of results online. We have been members of the Mystery Shopping Providers Association (MSPA) since its inception and our President & CEO, Lise D'Andrea, has served on the Board of Directors for multiple years. 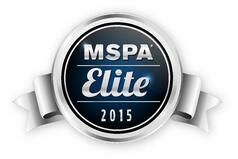 CSE is also a 2015 MSPA Elite member.